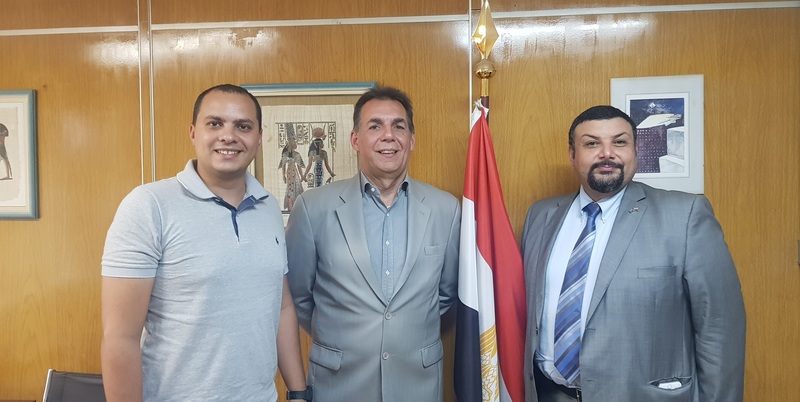 H. E. Mohamed Elkhatib met yesterday Mr. Mohamed ElHawary – Executive Director BLZ Egypt Import & Export and Mr. Ricardo Cortez Junior – Executive Director BLZ Brazil Imp. & Exp. to discuss means of cooperation, and presented to the company Egyptian products and their qualities.